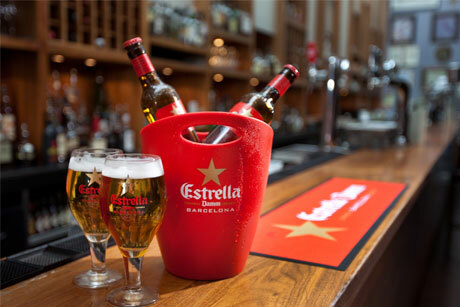 The UK distributor of Spanish lager Estrella Damm is ramping up PR activity to boost brand recognition in the UK. Independent brewer Wells & Young has briefed drinks specialist Phipps to handle media relations and events activity for the beer throughout 2013. Media activity will concentrate on reaching 'culturally aware lager drinkers' through men's publications such as ShortList, GQ and Esquire, as well as through London-focused digital channels. Events activity will revolve around sampling and photocalls at festivals and events, including an exhibition planned to be held at London gallery Somerset House. The exhibition covers gastronomy and will be curated by Estrella Damm's brand ambassador Ferran Adria, the chef who created the world-famous El Bulli restaurant near Barcelona. Phipps will identify wider opportunities to promote Estrella Damm's partnership with Adria through interviews with the national press and food titles. The agency, which was appointed without a pitch, will also engage the drinks trade press to increase the brand's status within the industry. Newly appointed brand manager for Estrella Damm Genna Burchell said the plan was to play on the fun, laid-back and Mediterranean image of the beer based on its Barcelona provenance. The brand also plans to return to TV advertising, with commercials scheduled to reach male beer drinkers running throughout the summer on Channel 4 and Sky. Wells & Young previously employed Boom in 2011 for a project brief at the Taste of London food festival, but handled PR in-house until appointing Phipps.